You can start a new group from the Loomio home page by clicking a Start group or Start free group button. Enter your name, email address and group name into the Start group form. You will receive an email containing a link that will take you to your new group. When you receive an invitation to join an existing Loomio group, the email will contain a unique invitation link. If this is your first time using Loomio you will be prompted to create an account. If you already have a Loomio account you will be taken straight to the group after you log in. Loomio allows sign-up with Facebook, Google, Twitter or Github. If you do not have a Loomio account you can sign up using any of these third-party services by clicking the corresponding button on the Log in page. If you are not currently logged in to your third-party account you will be prompted to sign in. 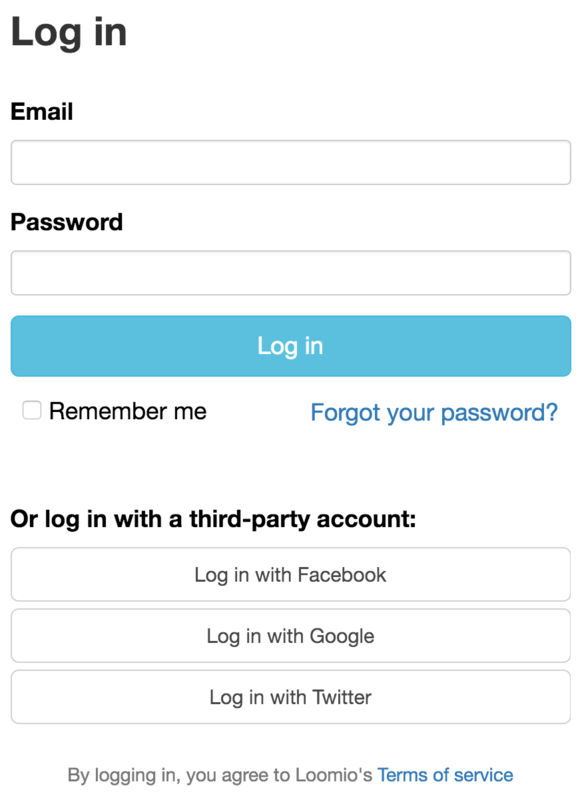 When Loomio recognises your existing third-party account, follow the prompts to create your Loomio account. You may also associate your Google, Facebook, Twitter or Github account with an existing Loomio account. Ensure you are logged out, visit the Log in page, and select your preferred platform. Loomio will ask if you want to create a new Loomio account with your existing third-party account, or link it to your existing Loomio account. Loomio used to support signing in with Mozilla Persona. However, Persona will shortly be shut down so we&apos;ve removed it from Loomio too. To access your account, visit our password reset page and fill in the email address associated with your Persona account.